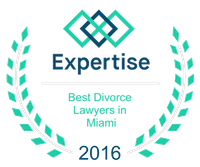 Five Myths Related to Divorce | Miami Family Law Lawyers Vilar Law, P.A. Thanks to popular culture certain misconceptions around family and divorce law have become accepted as true. Even though some of these ideas are true and some are not, when it comes to legal matters, it is a good idea to check with a real attorney before taking any action. Myth: If debt is in your partner's name, you will not be held responsible for it after the divorce. Reality: The state of Florida divides everything involving the couple as evenly as possible. While property and money may be divided equally, debt may be as well. The same is true for property. Just because a property is in one person's name, that does not mean that person will receive sole ownership of that piece of property. Through methods like valuation, at the very least the value of a property will be split among divorcees, if not the necessity for a sale and equitable distribution of what's received from the sale. Myth: A child can decide which parent to live with. Reality: Per Florida law, a child is defined as under 18 years of age and does not have the legal standing to make a choice of where to live. Parents, as well as the courts, may take that into consideration when deciding custody, but the ruling won't necessarily follow the wishes of the child. A judge may decide a child is developed enough mentally and emotionally to make such a choice and give that more weight. It is often handled on a case by case basis at the discretion of the judge. Myth: Child custody always goes to the mother. Reality: In most cases this is true, but not always. 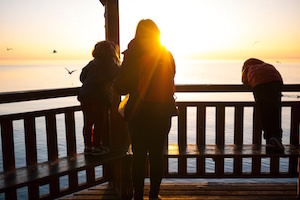 The courts try to rule in a way that is in the best interest of the child when considering custody issues, which is determined by the judge handling the case. Myth: Permanent alimony is guaranteed. Reality: Long-term marriage alimony may be considered permanent in theory, but it can always be modified. Judges take into consideration several factors, including things like the needs of the person receiving the payments and the ability of the other person to pay. As situations change, court rulings in these smatters may change as well. Myth: Florida does not allow legal separation. Reality: Technically this is true, as there is no legal mechanism for separation. However, couples may make any arrangement they like, and organize a separation in any way they wish, as long as both are in agreement.